Enjelique delivers an exceptional lesson experience and ranks in the top 15% of our teachers nationwide. 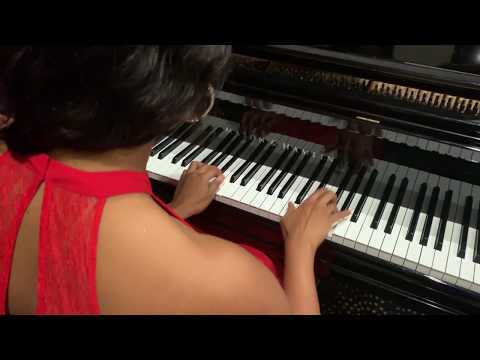 I am classically trained pianist, singer-songwriter, producer, and composer from Miami Fl. 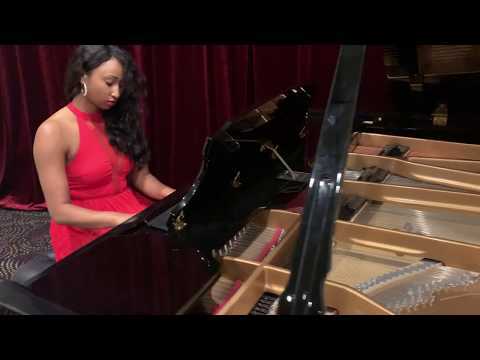 Growing up as the only female of color in most piano competitions and master classes, I strive to be a role model and example to my peers. I am the creator and current teacher at Angel City Piano Conservatory! At age 7 I was identified as a child prodigy and certified gifted with an IQ in the 98th percentile. I was discovered and trained with a Russian child prodigy teacher and was chosen to study with Harvard and Jullliard trained pianist and Founder of Ocala Piano Conservatory: Leslie Hammes. "Enjelique is really quite gifted... she has an excellent ear and natural touch." - Hammes. I received superior ratings for original compositions and was the Florida State winner for Piano Solo at the Florida Federation of Music awards. I also had 5 consecutive years of Superior Plus scores and National Music Guild Superior Plus Scores for 10 piece program piano solos. At the age of 13 I moved to Miami FL, where I studied under Jay Hess and received a piano Scholarship from the Hess Conservatory of Music. I was the winner of the Coral Gables Music Club Scholarship and the 1st Place winner, winning with a perfect score, at the University of Miami Youth Fair. In middle school I sang under Leslie Denning, a Grammy nomination classical vocal teacher and director, and received Superior Ratings from Florida Vocal Association in vocal performance. My original song “Falling Apart ” was showcased and aired on national television. For highschool I was chosen to attend the esteemed performing arts school New World School of the Arts. Senior year I was the gold Medal Finalist for the NAACP ACT-SO/ Talent Olympics in Music Composition, Vocal Contemporary and Instrumental Contemporary. For college I was a scholarship recipient to both Berklee College of Music for Piano and Vocal, and The New School for Contemporary Music. I decided to take a gap year to work with industry professionals in New York, then returned to Florida to attend Florida Southern College and founded the first ever record label at FSC: SoCo Productions. I am now in Los Angeles and founded Angel City Piano Conservatory to pass on the education I am so thankful to have received all of my life. As well as lessons, I aspire to expand to turn ACPC into a non-profit organization that allows under privilege children to experience the magic and healing power of music! 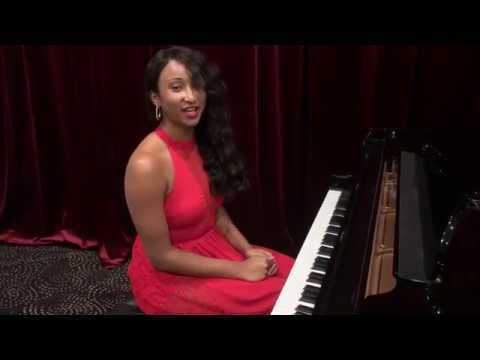 A little video saying me saying hi and welcoming you to Angel City Piano Conservatory! Here is a demonstration of Inventions #8 by J.S. Bach! Here is another demonstration of Fur Elise by Beethoven!